Thomas S. Ingrassia is a founding member of Pettit Kohn Ingrassia & Lutz and serves as the firm’s chief financial Officer. As co-chair of the firm’s employment and labor department, Tom regularly assists his clients in developing and enforcing appropriate employment practices and policies, investigating claims of employee harassment/misconduct, and defending all forms of employment litigation before state and federal courts and administrative agencies. Tom has achieved Martindale-Hubbell’s highest rating for his legal ability and ethical standards. 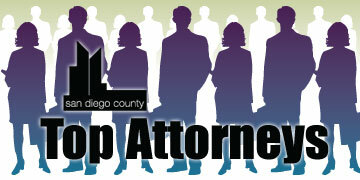 In June of 2011, Tom was selected for inclusion in San Diego Super Lawyers for the fourth consecutive year. Tom was also selected by his peers as one of The Daily Transcript’s “Top Attorneys” for Labor/Employment Law in 2011.
employment practices and employee management training for private firms, other attorneys and professional organizations throughout California. Tom’s leadership in the community was formally recognized with his election as the 2002 President of the San Diego Society for Human Resource Management, the region’s largest organization of human resource professionals. 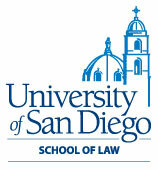 American Bar Association; Association of Southern California Defense Counsel, Employment Practices; Substantive Law Committee Member; Board of Directors Member, 2004, 2005; California Restaurant Association; San Diego County Bar Association (Labor and Employment Law Section and Litigation Sections); San Diego Society for Human Resource Management; President, 2002; Board of Directors, 1997-2003; State Bar of California.